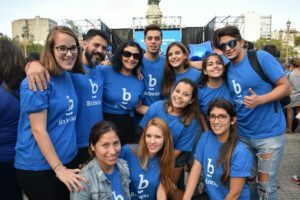 Brincar Foundation for a Happy Life with Autism (Fundación Brincar por un Autismo Feliz) of Buenos Aires, Argentina was created in April 2010 through the initiative of two deeply committed mothers of children with autism, Carina Morillo and Soledad Zongroniz. expertise of a team of renowned medical doctors and health and education professionals specialized in autism. Brincar works for the happiness of children with autism. It’s calculated that 1-2% of the world’s population has Autism. In Argentina, this would represent between 460,000 to 920,000 people. Autism Spectrum Disorder (ASD) affects 1 in 68 individuals, and 1 in every 42 boys. This makes it more common than cancer, diabetes, and childhood AIDS combined. It’s four times more prevalent in men than women. Every 11 minutes someone is diagnosed. This disorder is characterized, in varying degrees, by difficulties in social interaction, verbal and nonverbal communication and repetitive behaviors. Living a fruitful and rewarding life with autism is challenging and requires a comprehensive network of support and resources. 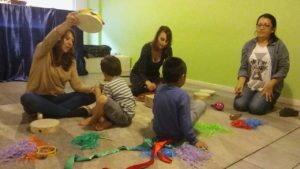 Our goal is to ensure the highest quality of life for children with ASD by providing parents, teachers, health professionals and their communities the required training to improve their educational and cultural experiences, as well as to provide safe and fun-filled recreation and work opportunities. 300 children, adolescents and young adults actively participate in our free arts and skills workshops. More than 5,000 families trained since 2010. More than 10,000 professionals trained since 2010. Adult life is a main concern for families who have children with autism. Parents find themselves worrying about their child’s future wellbeing and independence when they are no longer there. Existing facilities in Argentina and Latin America are limited to school age; there are practically no youth to adult transitional programs or appropriate long term care solutions. The long term care residences in Argentina are large institutions with no opportunities for community engagement or autonomy. NGOs fill this gap through initiatives started up by families. Our dream for the next 5 to 10 years is to create a community for adults with autism including a home, job opportunities, and recreation with the required medical and residential support. 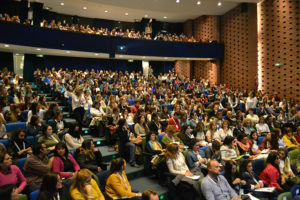 Brincar is uniquely suited to do this, being one of the leading autism organizations in Argentina, founding member of the Argentine Autism Network – Red Espectro Autista –www.redea.org.ar – renowned for its support family services and professional training. When we start considering a life away from home for young adults with ASD, we realize how crucial it is to train them for this important step. We will begin the Adult Life Project with a weekend training home, where 15 young adults with autism will train over the course of a year. The training home will use the premises of Juani Foundation, designed by architect and mother of 21-year-old Juan, in the city of La Plata, 45 minutes from the Capital City of Buenos Aires, in a small and highly active community setting. 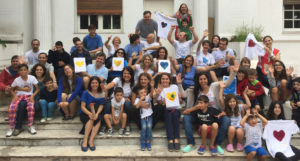 What makes this project innovative for Argentina is that there are no training homes for adults requiring 24/7 support, so they are either cared for by their parents (which often means abandonment when their parents are no longer there), or hospitalized in large institutions with no independence. Fifty-five percent of the country’s population has no access to health insurance, making an independent life away from home highly improbable due to the high costs of housing and of the professional support required. In a study on Quality of Life by the Centre for Health Promotion of University of Toronto, 1997, overall findings reported that nonverbal people with higher quality of life were associated with: having an occupational activity of some kind, not having marked behavior problems, having leisure activities in community, having community access, being more independent, making their own decisions, having opportunities available from which decisions can be made, having practical support from others, and having emotional support from others. Being able to make choices is often not an option for individuals on the lower end of the autistic spectrum, especially when they are non-verbal. Most crucial decisions are made by their parents and caregivers. Casa Brincar will give its residents the autonomy to make their own decisions, as well as opportunities to contribute to the community and meaningful work experiences. This innovative community will set an example for Latin America of what kind of possibilities exist for adults with autism.